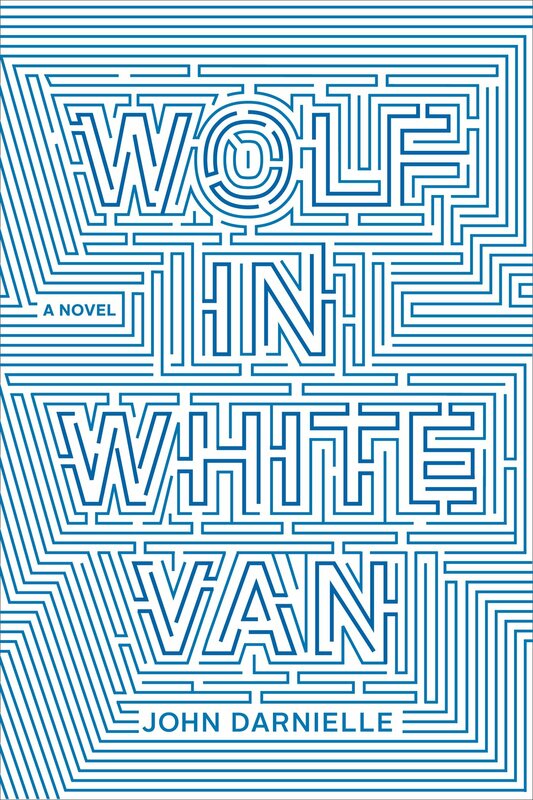 When Wolf in White Van first came out, my cousin Ethan recommended it to me as he is an avid music fan and WiWV was written by John Darnielle of the band The Mountain Goats. I believe that I resisted it for so long because the face value description describes the story of a game creator, but like so many books, what the publishers choose to put on the jacket fails to capture the depth of the novel as a whole. When asked to describe the book to my spouse, it reminded me of Station Eleven by Emily St. John Mandel and the film The Wrestler, starring Mickey Rourke. Especially as a librarian, you have about 15 seconds to encapsulate the essence of a novel before losing their attention. At the outset you can only think to say that Station Eleven is a about a post-apocalyptic world and then watch the interest immediately fade. It is however, not about the apocalypse but so, so much more. Re: The Wrestler, one of my favorite films of all time, I cannot even guess how many times people have said, “I don’t like wrestling,” to which I immediately reply, “it’s not about wrestling!” This book is of the like. I could say, it’s about a role playing game creator who shot his face off, but it’s not about that. Like the above two, WiWV is about the descriptions, the writing style, and the feeling that it leaves you with days after you’ve finished. WiWV took a little bit of time to get into; I didn’t know where it was going, and it took me a while to become accustomed to the internal monologue style of the most of the novel. In a nutshell, the book starts with current day, and the narrator, Sean, who is left with a mangled face from an interaction with a gun, recalls the steps leading to the beginning of the book. This non-linear style is subtle, and for me the real charm of the book is in the small details, Sean’s observations about his life. Author Darnielle also gives us just enough suspense in small droplets so that you’re curious enough to turn the page, but not so that your stomach is left in anxious knots. This book is technically an “adult” book, but I can see why a lot of people (the American Library Association to name one organization) would recommend it for teens as well, though I’d say probably for more of an advanced reader. Teen gods may strike me dead, but I am a teen librarian and don’t love teen literature as an adult reader. I think it has its place for teens, but as an adult, I’m past it, so I appreciated that Darnielle writes about high school in way that isn’t clunky and melodramatic, but links me to the characters by recollections of my own teenage years. Sean’s recollections of his high school years are carbon copies to many of ours: depression, smoking, the need to fold in on oneself, especially in the presence of parents, music as release and discovery, and the sometimes realization that organized religion and those in positions of authority are flawed. Halfway through the novel, I had no idea where the book was taking me but it builds from Sean having a seemingly “normal” life to his eventual incident with the gun, sprinkled with his life as a disfigured being, leaning in and out of his alternate universe game, the Trace Italian. I pondered if we were going to be given a final ah-ha! detailing what happened: did the gun go off accidentally, or was it a suicide attempt? Or was Darnielle going to do that very hip and often aggravating thing where we are given nothing, forcing the reader to utilize their own glass half empty/half full proclivities. Luckily for me, who thought that Mickey Rourke lived at the end of the film and drove off into the sunset with Marisa Tomei, it was somewhere in the middle. Without the recommendation, I probably wouldn’t have read Wolf in White Van solely based on its description, but in the end, wound up really appreciating it for being exactly the opposite of what it seemed to be. I’ll also add that I oscillated between reading the novel and listening to the audio, read by author Darnielle himself, and it was fantastic. Darnielle expresses such vulnerability and honesty from the point of view of the main character that you feel like the Sean is speaking directly to you. Thanks, Ethan. It was a great recommendation.